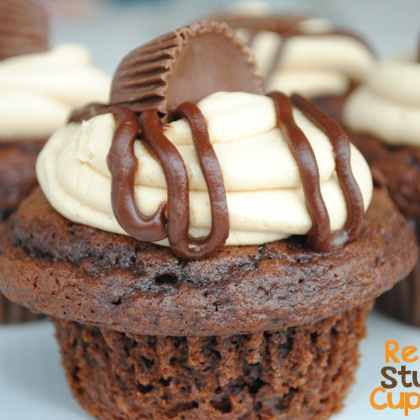 Unwrap mini Reese’s, push one in to each cupcake batter portion. Bake for 18 minutes. I don’t bake them a minute longer than that. At 18 minutes they are just barely done. I like them very soft and moist. If yours don’t appear done let them go a minute or two longer but try to pull them out when they are barely done.